With Betternet VPN Proxy your data will be encrypted and your online activities will remain private and secure. Betternet secures your device’s connection while you’re connected to public wifi hotspots, cellular data networks, and other public locations. It works just like a free proxy but it’s even more secure. Your password and your personal data are secured and you are protected from hacker attacks. Betternet is fast! It detects your location automatically and connects you to the nearest server; as a result, your connection will be much faster than other VPN providers. You can be a premium user through an auto-renewing subscription. If you have any questions or suggestions, feel free and send them to support@betternet.co or visit our website https://www.betternet.co for more information. - Facebook: https://fb.com/betternet.co to stay tuned. We've optimized the app for easier access to VPN connection. I subscribed this app and paid the monthly fee after the 7-day free trial. It works ok (sometimes not working) for less than three weeks. And then not able to connecting at all. Every time it said “something went wrong” or just connecting for a while then gave up (appeared like I never clicked the connect), or some other words but no be able to connect. So I tried to contact the support team but it insisted asked me to set up a “mail account”??? I have my email address registered already. What does that supposed to mean? So I uninstalled the app and reinstalled it. Funny thing is that it won’t allow me to “install profile” in setting. 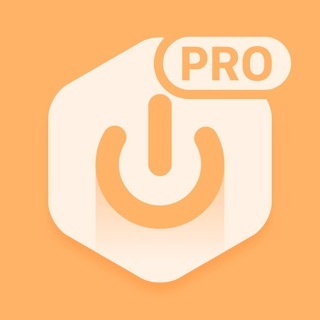 When I clicked “install profile”, it jumped to the VPN setting page and no matter what I chose, the app stayed the same, at the “install profile” page. After more than fifty times of this repeating process, I gave up. I was not be able to contact the support team nor be able to connect or set up the VPN configuration. Worst part is I’m paying for this “not working” service. I tried a free VPN. It works just fine. Not sure why I purchased this app in first place. 1 star is a compliment to its function. It should earn no star at all. We are sorry to hear that you are having connection difficulties with Betternet. Click on the VPN grey circle instead of "Install Profile". Please let us know more details of what's not working for you. Please submit a request through our app: tap 3-Bar icon and please select the second option "Contact Us", then click on Connection Problem to finally describe with more details the inconvenience you are having with Betternet. Okay so the only reason I use this app is because our school’s WiFi blocked basically every social media app that TEENS USE EVERY DAY OF THEIR LIVES. Here’s the deal. Sometimes whenever I open Snapchat the Betternet app just randomly disconnects and then every time I try to send my streaks or even so much as one snap, the VPN app tears up my service and my streaks take decades to send. Sometimes I even have to turn off both the app and the WiFi in order for my snaps to be able to send more quickly. Yeah that doesn’t help either, because sometimes the app reconnects itself even when I’m using data and just makes the service even worse. I’ve also tried deleting and reinstalling the app several times, and it only works on occasion or when I’m on any other WiFi other than the school’s WiFi. The general gravity of this situation is that this app just ruins my service and I hate it. Every time I’m somewhere where Snapchat is blocked on their WiFi, BETTERNET WORSENS THE SERVICE! IT’S SUPPOSED TO IMPROVE THE SERVICE NOT DETERIORATE IT! It’s called BETTERnet for a reason! This app needs a lot of adjustments. I’m sorry to hear that Betternet didn't meet your expectations. Our team is constantly working to improve our product and we welcome any feedback from our users. get help to solve this matter, please submit a request through our app: tap the 3-Bar icon and please select the second option"Contact us" then click the appropriate type of inquiry to finally describe with more details the inconvenience you are having.